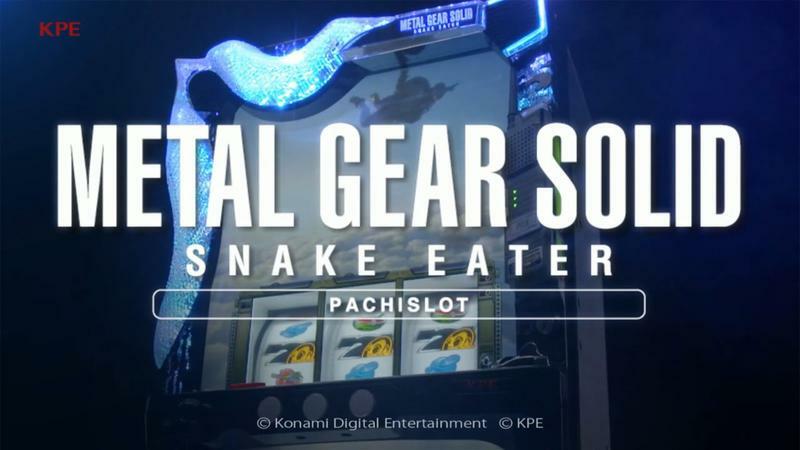 Pachinko and fitness center company Konami has 1up'd its previous attempts to alienate the gaming universe by releasing amazing remastered footage of the universally praised Metal Gear Solid 3: Snake Eater in the form of a slot machine game. Speculation has poured in that the amount of effort gone into making this footage is simply too immense for an easy cash grab like mindless pachinko games, and that Konami is secretly working on a remaster of Metal Gear Solid 3 behind the scenes. However, the company is about as far removed from the benefit of the doubt as Metal Gear Solid V is from a satisfying ending. However, an unfortunate spin on that theory has also sprung up in that the game's remaster was already in production, but it was canceled once Konami pulled itself from AAA development. Can you imagine the blow-back if that had ever proven to be true? A undeniable classic getting a dream-remake, only to be torn up and used as a cheap Japanese slot machine. Man, Konami is lucky it never announced that project alongside Silent Hills. Not that it would really make that much difference since the resulting universal hatred couldn't really get any worse. As expected, the trailer has over 5,000 negative reactions and counting.